If you’re taking your first solo trip, a singles holiday in the UK is the perfect way to test the waters without venturing too far from home. And it’s certainly not a second best choice for experienced single travellers either – thanks to the huge variety of ways to discover the country’s scenery, history, culture and wildlife. With options for every budget and style, not to mention some great ideas for single parents, here are my top UK singles holidays. Coast or countryside, mountain or moor, there are plenty of ways to get out and explore the UK on a singles holiday. You’re spoiled for choice if you’re travelling on foot. Ramblers Walking Holidays are hugely popular among solos, with no single supplement on selected trips. They have their own country house accommodation in the Lake District, as well as UK walking holidays from Guernsey to the Giant’s Causeway. If you want to guarantee you’ll be with other single travellers, specialist Solos Holidays has UK walking short breaks across the country, including the wild countryside of Snowdonia to the hills and industrial heritage of Shropshire, beautiful York and the English Riviera in Torquay. 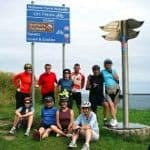 Or explore on two wheels with Saddle Skedaddle which has a range of different UK cycling holidays for different abilities. The two-night classic road weekends are great for beginners or anyone who’d like to try out this kind of holiday, with options in the Lake District, Northumberland, the Chilterns and Wales. Keen golfers can also join singles only golf holidays for players with and without a handicap from Solos Holidays, including occasional breaks in the UK. Travel focusing on a particular interest or hobby is a great way for singles to try out solo holidays – you’re guaranteed to have something in common with your fellow travellers, and it’s an instant conversation starter. There are plenty of options without leaving the UK as well. Martin Randall Travel offers breaks focused around art, literature and culture with expert speakers on hand, while Kirker Holidays runs its own exclusive festivals for music lovers. 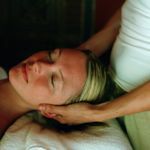 And the personal development holidays from Skyros include breaks on the Isle of Wight which are hugely popular with singles, with experts leading courses on everything from mindfulness to photography, writing and singing. If you want to guarantee that you won’t be the only single traveller on a trip, a solos-only holiday is a great place to start. Specialists Solitair Holidays have a string of UK short breaks which are exclusively for single guests whether you fancy the idea of an ABBA tribute weekend or spending Easter or Valentines Day away with a group. Check out the complete set of dances and festive breaks in the UK for special events throughout the year along with some one-night mini-cruises. Specialists Solos Holidays also runs dinner dance breaks in the UK year round along with special festive breaks, while Friendship Travel has a great selection of Christmas and New Year breaks in the UK, such as this getaway to Middlesex, along with an Easter escape to Newbury where you stay in your own double room at a four-star hotel with a friendly group of other singles. And for singles over 50, Saga Holidays has escorted group tours for solo travellers only across the UK. There are art and music themed itineraries or how about a short break in sunny Eastbourne and a slightly longer holiday in lovely Jersey. The same goes for single parents, with trips designed specifically for solo adults and their kids. Single with Kids runs UK glamping breaks in Northumberland, Herefordshire, the New Forest, and Pembroke with a choice of weekend breaks and longer holidays. Cruise operators have been working to make their offerings more solo-friendly over recent years, but if you’d like to try a singles cruise, you needn’t even leave the UK. St Hilda Sea Adventures offers short cruises along Scotland’s west coast with a double cabin for single occupancy and single cabins on board Seahorse II, with no supplement – from whisky to wildlife and other themed cruises, you can discover some of the country’s loveliest scenery. Or Travel One offers various cruises departing from London Tilbury so you needn’t fly, including a sailing around the British Isles. The cruises from Saga Travel also depart from the UK, with the new Spirit of Discovery sailing from Dover in 2019, including four-night mini cruises to give you a taste of solo cruising.